In 1959, Topps licensed their baseball design and players to Venezuelan printer Benco for local printing and distribution, a release that covered about a third of the American set. That financial arrangement worked well enough to secure a repeat performance in 1960 and its number five features skilled LA outfielder--and one of the best card "personalities"--Wally Moon. Unibrow power! 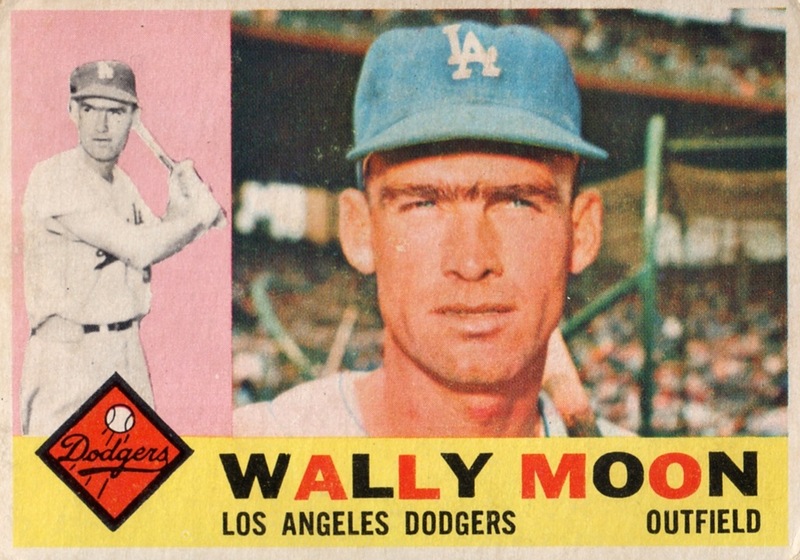 1960 marked Topps' final year for sideways-only sets, as seen previously in 1955 and, my all-time favorite, 1956. American and Venezuelan versions resumed their portrait layout in 1961, but left-to-right action photo reappeared in several 1970s sets. Night Owl profiled several of those cards in his 2009 article, Horizontal Bop. 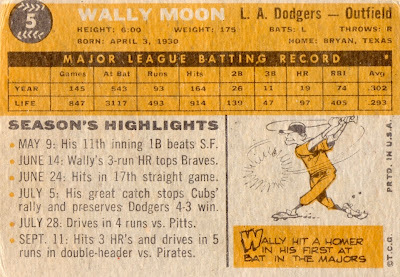 Like 1959 Venezuelans, 1960 cards lack surface gloss and the stock feels rougher to the touch. The set contains about a third of Topps' full set of 572; both checklists match card-for-card from #1 to #198. Close inspection of the set itself revealed one curiosity. 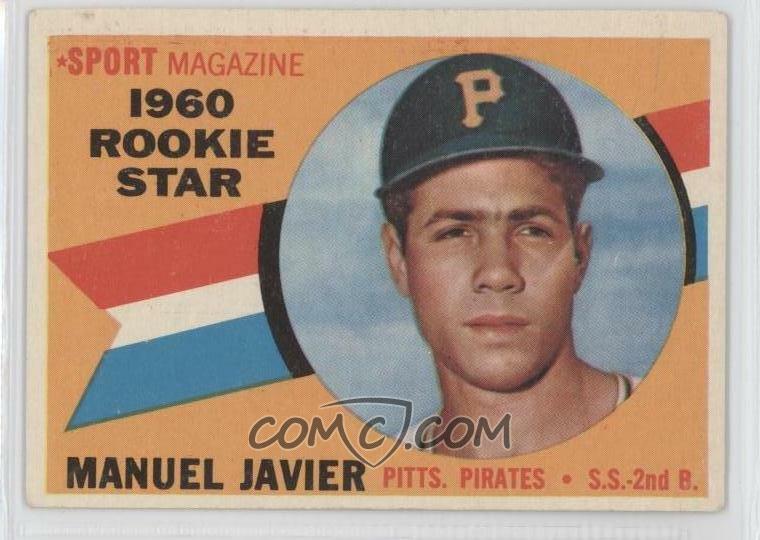 Future All-Star (and Caribbean native) Julian Javier appears as "Manuel" on rookie card #133, as cribbed from his full name, "Manuel Julián Javier Liranzo." Those selfsame Pirates traded Javier to St. Louis mid-year and he ultimately spent the whole decade starting at 2nd base for the Cardinals, helping them win championships in 1964 and 1967. Pittsburgh didn't really mourn the loss; they already had a guy named Mazeroski at 2B, which worked out OK for them in 1960. Value: I picked up Mr. Moon for $5 from South American specialist John Rumierz Cards. Fakes / reprints: Possible they exist, though fakes of American versions are more likely. Topps "reprinted" this design for their 2009 Heritage set.